A four seasons holiday villa! Pileas and Thetis Villa is available for bookings either as two separate and independent units or as both units, transforming the property into a private and exclusive holiday home. Below you can find more details regarding the accommodation options that we offer. ”Pileas” is the master villa of the complex in two levels covering a surface of 200 sq. meters in total. The ground level consists of the dining room, the spacious living room and the kitchen. 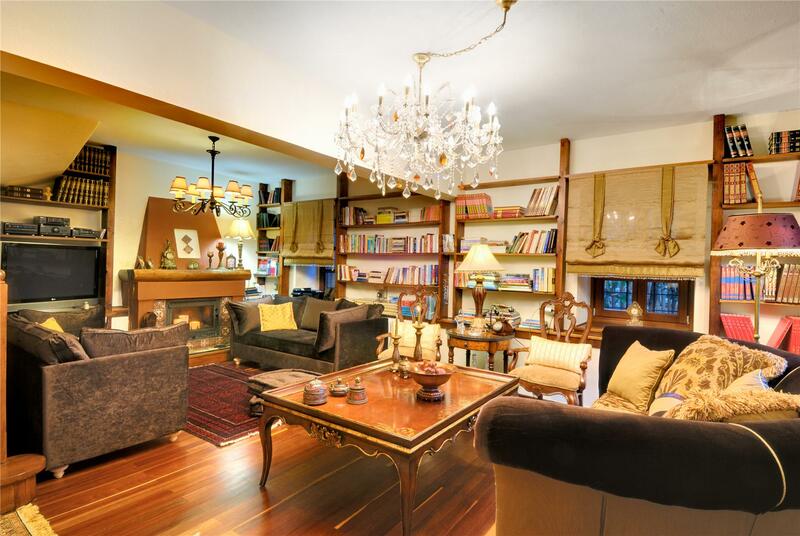 The ground floor is nicely decorated with traditional furniture where we find the main fireplace of the villa and the library with a rich variety of books. “‘Thetis” the boutique and romantic villa perfect for 2 or even 4 adult guests, attached to the master villa of the complex, covering a surface of approximately 70 sq. meters, has been totally restored and renovated in 2010. Entering the cute living room with the fireplace, at the ground level, you continue to the two bedrooms with their private bathrooms. Pileas & Thetis villa consists of two houses that can be unified in one by an intercommunicating door providing a unique place to host a big family or a group of friends up to 10 adults + 2 children. 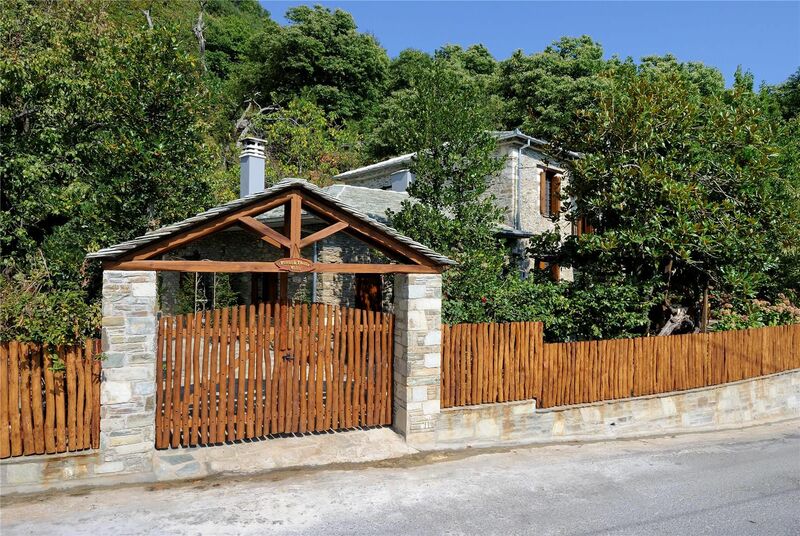 The property is an exclusive and luxury holiday home and vacation rental located in the absolute heart of the majestic mountain of Pelion in Tsagarada village. We had a great stay over Pileas & Thetis Villa and I am so happy we chose this villa! Everything is perfect there, location, room. The villa owner is extremely helpful and very very friendly , hospitality and patient, made us feel at home. Beautiful place, very clean and warm! The owner is kind and friendly! My boyfriend and me didn't want to leave from the villa, not even for food! The perfect place for relaxed and quiet vacation! 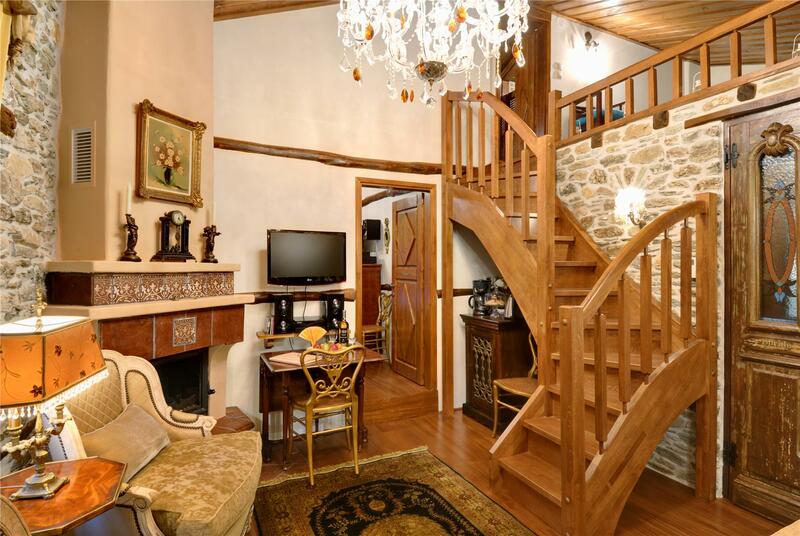 A boutique and luxury house, full of history and beautiful furniture!!! Definitely I will choose it again in the future!! We spent a weekend at this amazing mansion once again and as always Yria was there for us and the rest of her guests. Pleasant and full of positive energy, the professional owner whose main aim is to please her guests welcomed us with open hands. We stayed in the Pileas villa for 3 nights at the beginning of September. 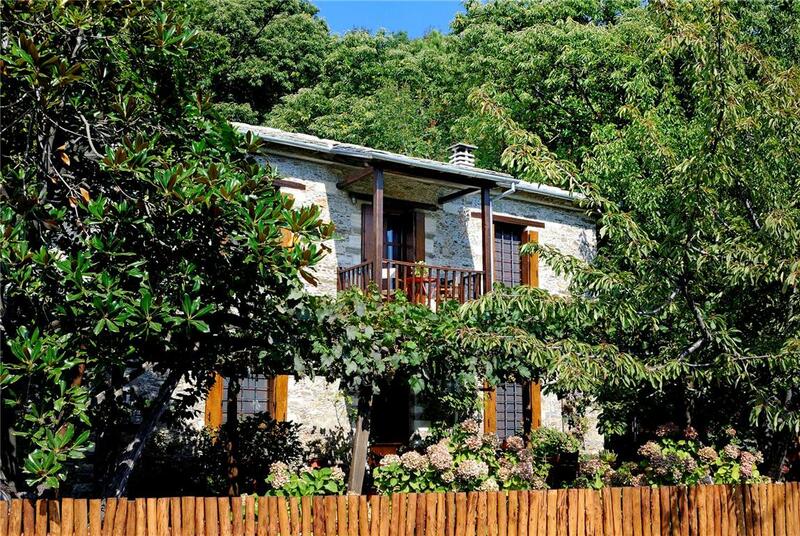 At this late time in the holiday season, the area was not very rich in tourists, but even if it was, the secluded location of the villa offers an exceptional retreat from the noise and agitation of daily city life.